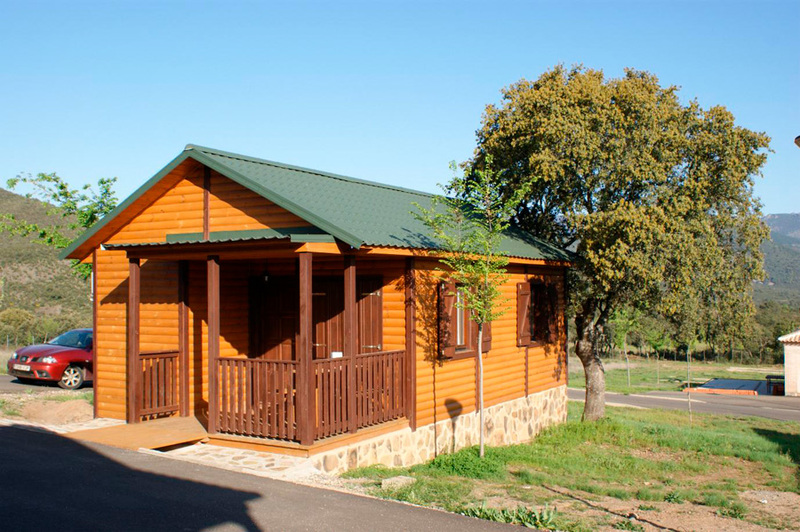 Because of the coziness of wood, their strong structure and their beautiful design, our comfortable cabins will make you feel closer to nature. Located in the highest part of the resort, close to the hill woods and with awesome views of the area, the twelve cabins are climatized with heat and air conditioning, are fully-equipped (including free WiFi) and feature two bedrooms, one with a double bed and another with a bunk bed with the lower bunk being a double bed, a living-room/kitchen area with 32’’ TV set, pull-out sofa, glass-ceramic cooktop, microwave oven, extractor hood, fridge, complete toilet and a porch with table and benches. Bedding and towels provided. Each cabin is named after an autochthonous tree of this region: oak, beech, yew, elm, birch, holm oak, holly, cork oak, gall oak, alder, maple and willow. 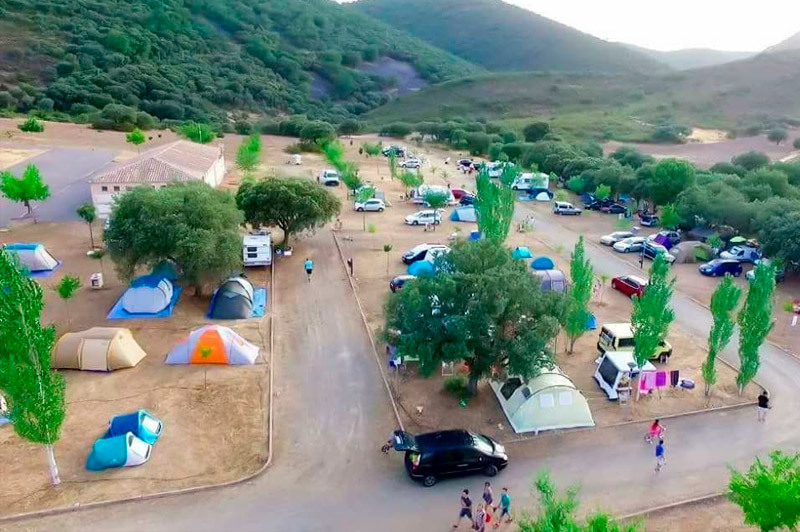 The resort has a large campground area for users of tents, trailer homes and RVs. 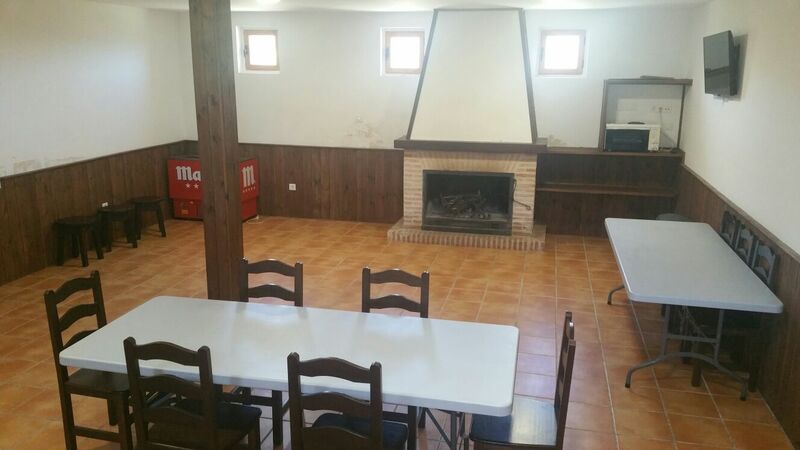 All plots have electricity supply and free WiFi. Our campground zone features a building with toilets/showers as well as a dish and clothes washing room. In long, hot summer days, our swimming pool area is the best choice. 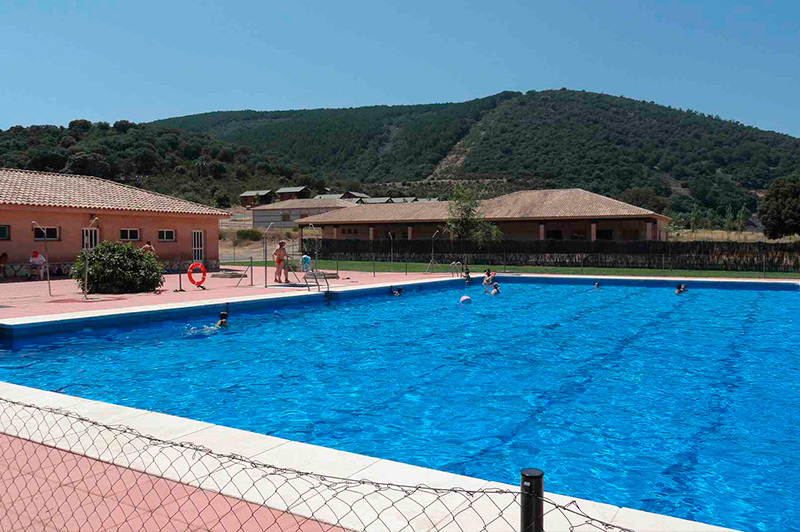 We have a semi-olympic size pool, and a small one for toddlers, surrounded by trees and lawn, and complete with showers, dressing rooms, toilets and first-aid/medicine room. 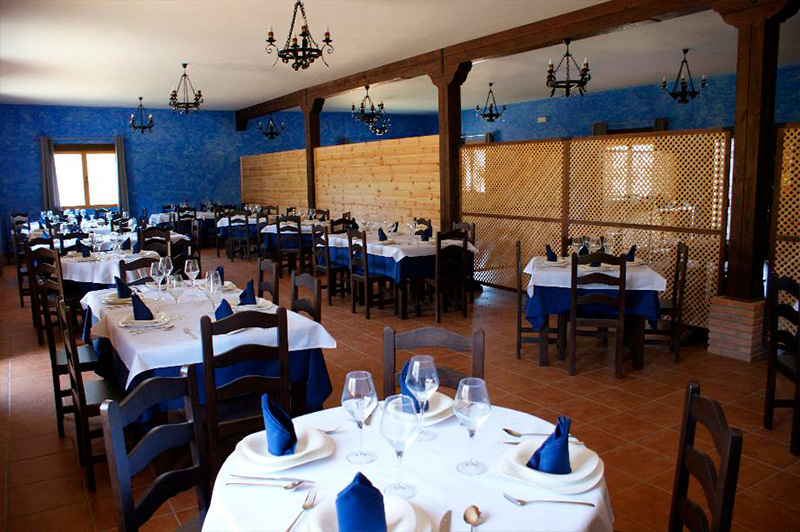 When it comes to enjoy a cold beer or a good wine with some tapas or indulge on the tasty regional gastronomy, nothing better than our bar-restaurant, where you will find a fine selection of typical dishes in a warm, friendly and elegant environment. Outside you can enjoy your drink at our large porch, with nice views of the swimming pool and the surrounding mountains. furniture and a chest refrigerator.